Camping fold away chairs can be used in a number of different locations due to them being lightweight yet strong and easy to carry. 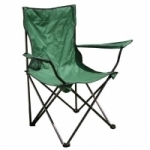 Camping chairs are available on our next day delivery service and our cheap camping chair prices are difficult to beat. If a picnic blanket on the floor isn't for you then look no further than our quality assured fold away picnic tables. These multipurpose tables come in a range of different sizes to suit your individual needs and can be used in a variety of locations. 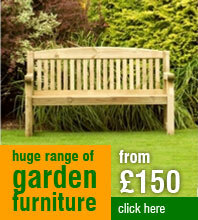 All our party tables are part of our next day delivery and 12 month guarantee. Whether you are looking for children's tents, beach tents, cheap tents or quality value for money tents we have them all! Available on next day delivery so your camping holiday can start tomorrow! Our customers tend to enjoy the outdoors so we decided to add camping and fishing products to our large database of products. 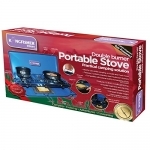 We stock a wide variety of camping and fishing goods products to suit every taste and budget. If you are in the market for Camping or Fishing Chairs we would recommend buying the Kingfisher Camping Chair. These lightweight, durable chairs can be transported anywhere and are very reasonably priced. Our customers claim that Cheap Camping Chairs are very important to them. We also keep a range of Kingfisher Rechargeable Torches in stock as we know these come in handy on camping trips! No camping trip is complete without a tent and we stock a great range of Cheap Tents. 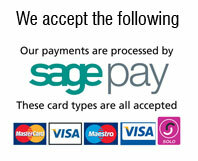 We also stock 2 MAN and 4 MAN tents ready for next day delivery to you. If you are planning a trip to the beach why not take along our Kingfisher Beach Tent. These ultra light tents are handy to have on the beach and will keep the sun and wind off your back! Lightweight Aluminium Camping Tables and Folding Picnic Tables are currently very popular in the marketplace and we keep these in stock as standard. They can be used for a multitude of purposes and can come in very handy when you least expect it. We are also very proud of our range of Willow Picnic Hampers. These high quality picnic hampers cost less than you think and come in three different sizes. We have the 2 Person Picnic Hanmper, the 4 Person Picnic Hamper and the 6 Person Picnic Hamper ready to deliver to you on a next day delivery service. Each hampers comes filled with everything you need to enjoy the great outdoors. 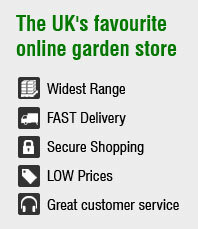 Buy your Cheap Willow Picnic Hamper from Total Gardens.